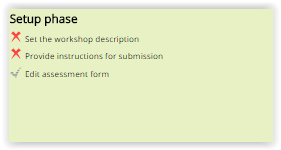 The Workshop activity in Moodle provides users with a four phased process to edit and implement the workshop to your Moodle page. This article will take you through the process of following the four phases. 1. Click on one of the tasks from the checklist that has not been completed. 2. 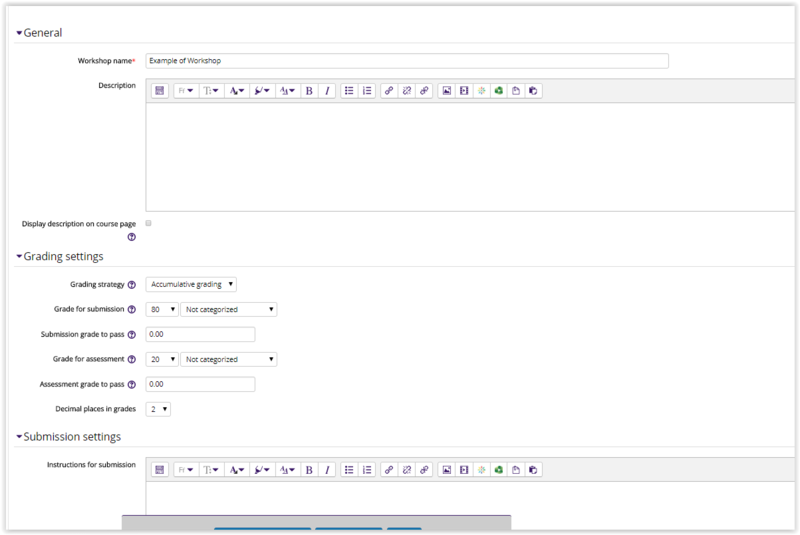 The page that is displayed will contain tabs for all the setup settings that need to be updated. Look through every tab and make the changes that you see fit. 3. Click Save and Display. If all the necessary tasks are completed, you will see the checkmarks on the flowchart. If not, click on the task that hasn't been completed to do so. 1. 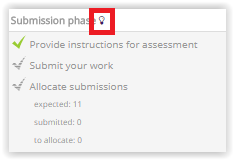 To switch from the Setup phase to the submission phase, click the lightbulb button next to the Submission phase label. NOTE: This same process can be used to advance to the additional phases, as well as going back to a previous phase. 2. 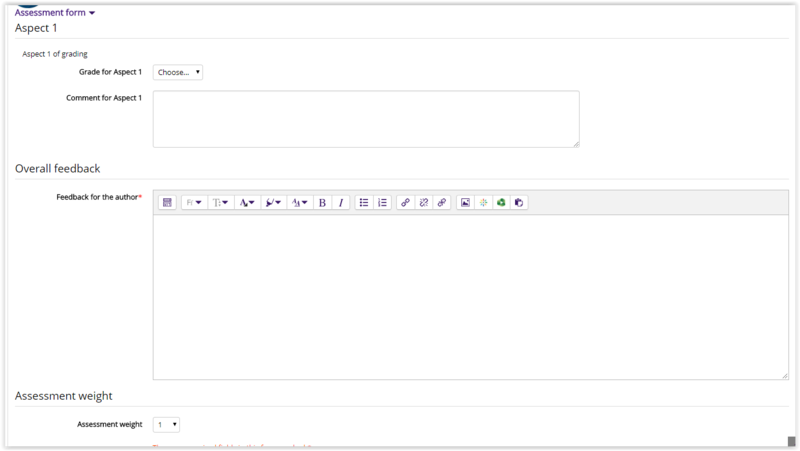 This phase is where students will have the option to submit their assignments. 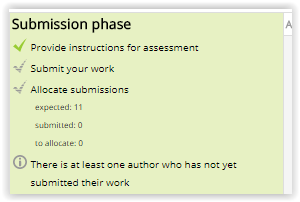 When the students are done submitting their assignments, or when the due date arrives, you can close the submission phase by advancing to the next phase. The assessment phase allows students as well as teachers to review the submission and provide feedback. 1. Advance to the assessment phase by clicking the Light bulb button. 2. Click on an assignment to open it and click the Assess button to begin the assessment on the submission. 3. Fill out the assessment form and leave any feedback you feel is necessary. When finished, click Save and Continue. 4. When finished making all the assessments you need to make, you can advance to the next phase. The grade evaluation phase will have all the grades displayed according to whichever grading strategy was chosen for the workshop. The instructor can give additional feedback during this phase and give a conclusion statement. Advancing to the next stage will close the workshop.